This is short but sweet but if anyone has ever asked what genetics is exactly and you have found yourself floundering, then look no further. This short animated film by David Murawsky explores the history of genetics and the underlying concepts providing the knowledge that today’s research is based upon. 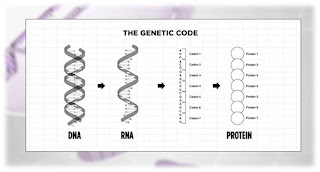 It is thorough too – it goes from the father of genetic, Gregor Mendel up to concepts such as genetic code and DNA. There is also a look at the current methods that are used to study genetics, the vaguely scary sounding genomics and bioinformatics. All wrapped up in some very impressive animation. Nice.